Brighten up your walls with butterflies! I thought that my walls looked a bit dull so i had this brainwave to stick something up. 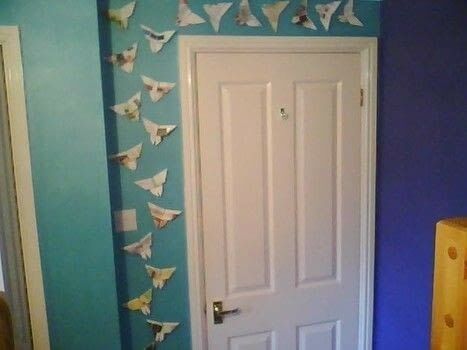 I was in a origami mood, so i searched up how to make butterflies and made loads! 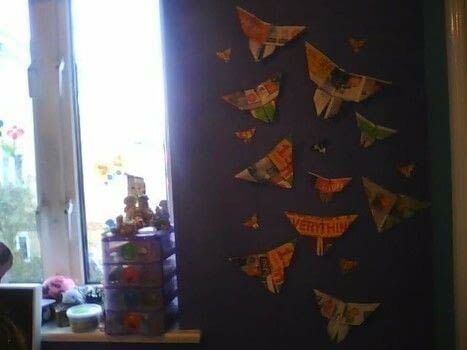 The one on the purple wall were made from a home base catalogue because i thought it look pretty, but the only thing is that my dad still wanted and now he can't use it. Hehe! The ones around the door are made from a paint catalogue. (i asked my dad if i could use it this time). I just thought wow paint that will be colourful. 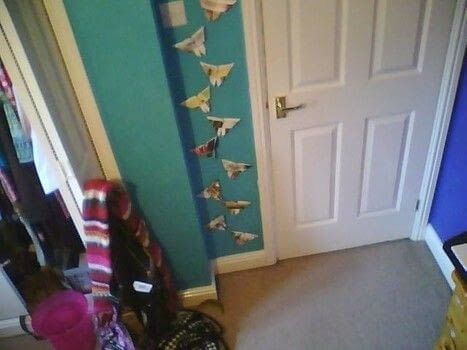 So ya, a great way to revamp your room, origami butterflies!